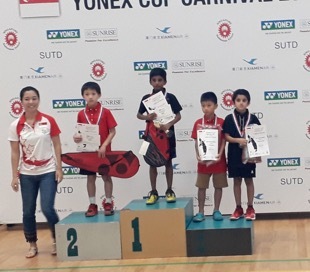 Congratulations to Giri for winning the Yonex Cup in the boy’s singles under 9 event. Nothing can be more joyful than having a new Champion just one day before our annual OBA Reunion Day happened last Sunday. With the score of 11-8, 11-9 & 11-7, it's a 3-0 straight win in the finals against his opponent last Saturday morning. What makes it even more remarkable is that he goes against all odds and won his 8 years old opponent despite being younger and having lesser competitions experience. He is also a humble yet influential figure who would display a strong fighting spirit and positive attitude despite usually being the youngest in the group. The championship match last Saturday was also his defining moment up to date. 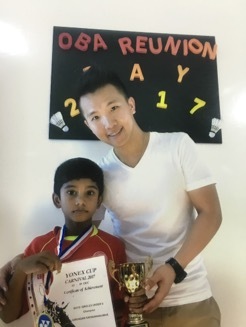 He recalled his greatest setback he experienced last year in Thailand, where he lost in the Semi-finals match in the boy’s singles under 9 events. Till then, getting a gold medal in a boy’s singles events has always been his motivation and goal in mind. His millstone definitely serves as an inspiration to his peers for them to work harder in reaching their goals. Lastly, we would want to take the opportunity to thanks all the coaches and his family members for their unwavering dedication and support in achieving such sensational achievement. 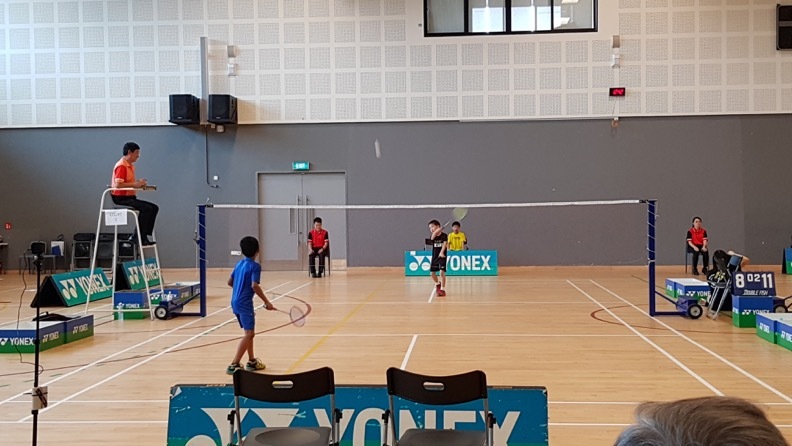 He is currently undergoing preparations together with his teammates for the Alpha age group tournament happening next week, we wish them all the best and best of luck.